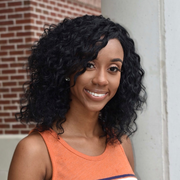 Greetings, My name is Sha'kiria Dawson, a recent graduate from Savannah State University with my balchelor degree in Social work, I am currently working on my Master degree web-hybrid at Valdosta Stete. I've worked with children all my life, I worked a daycare for a year and a half for the summer, I have been a nanny off and on since the age of 15. I currently worked at JEA preschool where I am an assistant teacher for ages 16 months to 24 months but I am currently looking for something else that will Help with balancing school. Please feel free to contact me if you have anymore questions! Thanks!